See the story of the real pirate Roberto Cofresi, a character in the story! A British privateer and an American hoyden clash on the high seas as they tangle with a notorious pirate . . . and attempt to resist the rising tide of passion between them. ​Ordered by the Prince Regent into the Caribbean, English sea captain and former privateer Jean Nicholas Powell has no time for women aboard the Wind Raven, especially not Tara McConnell. The impudent American demanded passage, and so she’ll get more than she bargained for: Instead of a direct sail to Baltimore, she’ll join his quest to investigate and neutralize the rampaging pirate Roberto Cofresi. But the hoyden thinks she can crew with his men! And though Nick bans her from the rigging he is captivated watching her lithe, luscious movements on deck. Facing high seas, storms, cutthroats and the endless unknown, he must always protect his ship, his passengers, his crew. But on this voyage, with this woman, there is a greater danger: to his heart. See the trailer for Wind Raven! Pictured here is the schooner that was the model for Wind Raven, Captain Jean Nicholas Powell's ship, and the setting for many scenes in my novel of the same name. 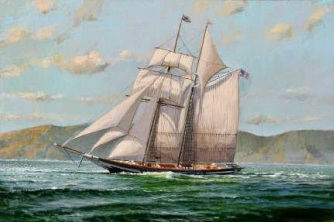 This painting by artist William Lowe (used with permission) shows the schooner Californian, a reproduction of a period schooner. It was my inspiration for the novel, and as a part of my extensive research, I actually sailed on this ship! 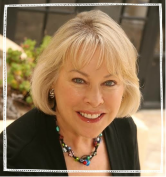 See my interview with Barbara Vey about Wind Raven; it's a hoot!